Tag Heuer is a famous sports watch brand that has many achievements, it made the most accurate chronograph watch in the world. 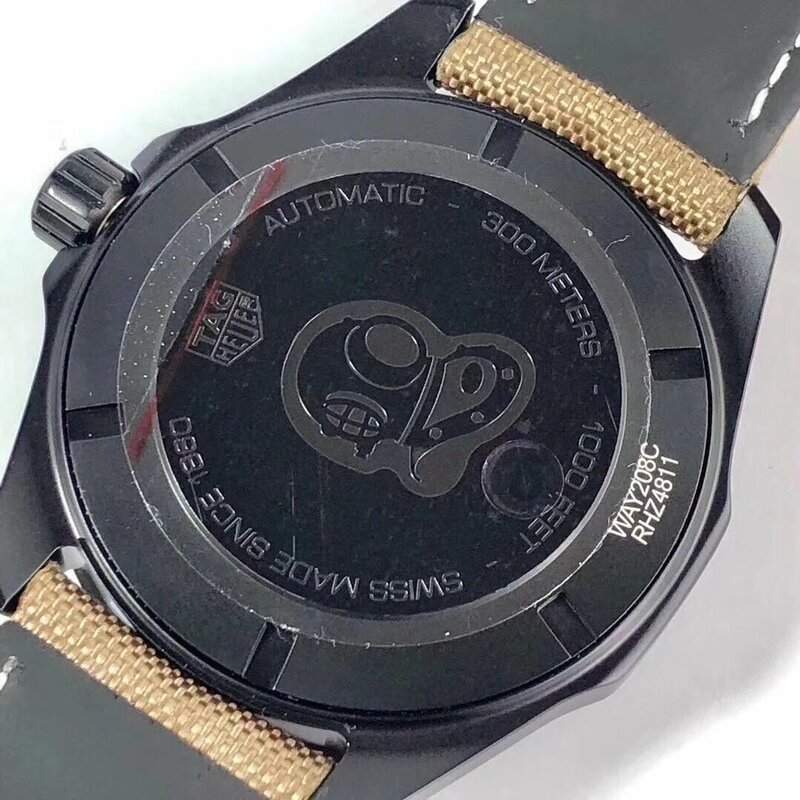 However, among so many sports watches, Tag Heuer is the one I am not willing to have, because it is so normal when being compared with Hublot and Panerai. 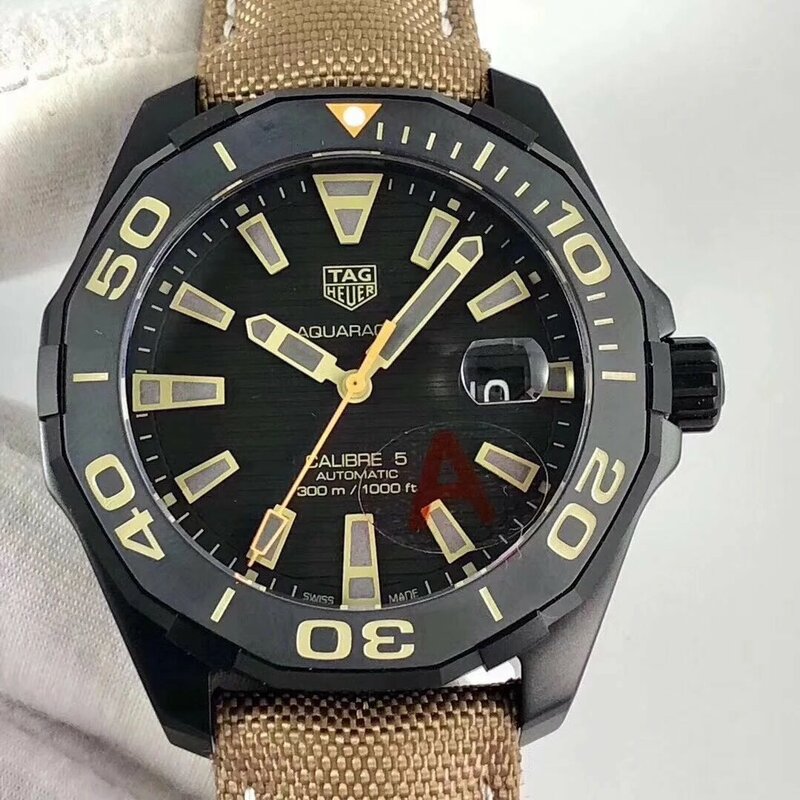 But for Aquaracer, it is the only Tag Heuer watch I like. 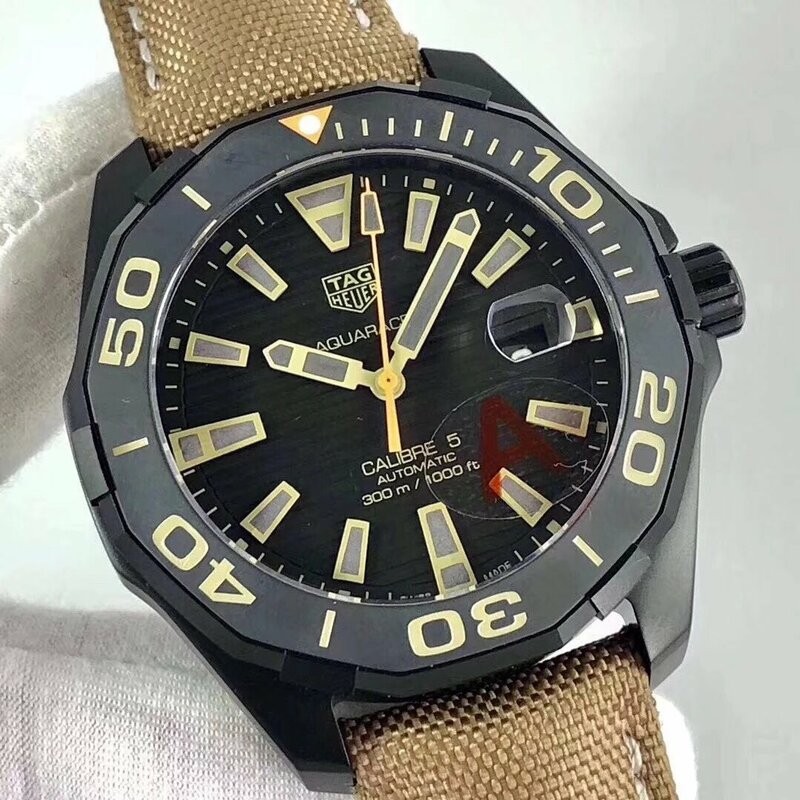 Especially Tag Heuer Aquaracer with steel bracelet, it is one of the best-selling diving watches. Aquaracer is the diver’s watch of Tag Heuer, it has many classic models in the past, now the watch was updated by Tag Heuer and used high-tech material on case, the dial also has a more modern sense, however, even new Tag Heuer Aquaracer has used more high-tech material and advanced watch-making technology, they are not as classic as Tag Aquaracer models released in the past. 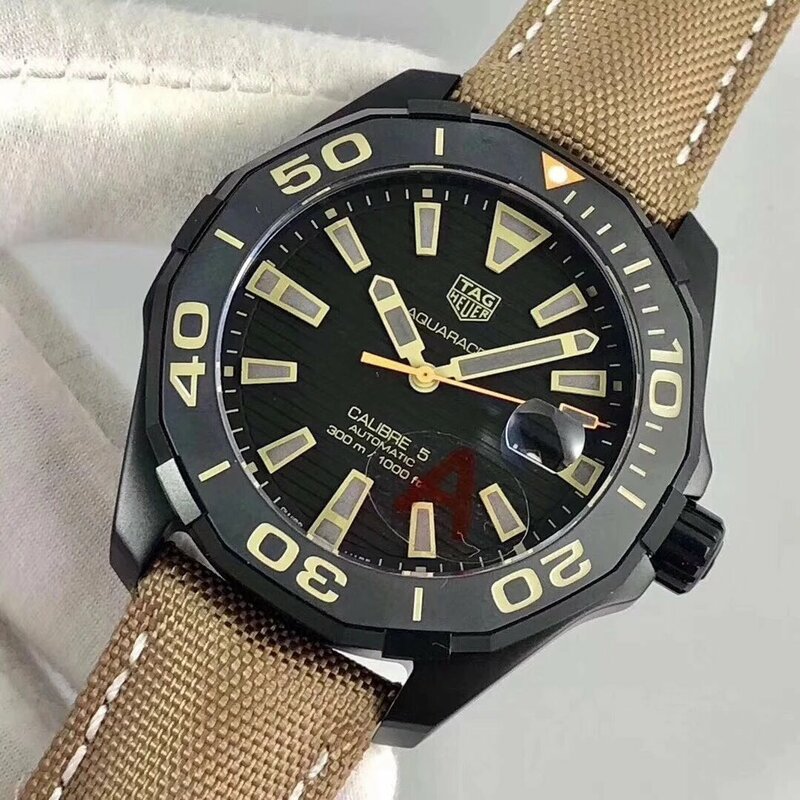 Under the big sales replicas of Rolex, Hublot and Panerai, Tag Heuer replica watches are not selling very well online, the following is one replica Tag Heuer Aquaracer 300m watch made by HBB V6 factory, I was only attracted by its striking color design on the dial. Let us talk about its dial first. Although case is 43mm in diameter, it does not make the dial look big. With big hour markers, the dial looks a bit crowded. 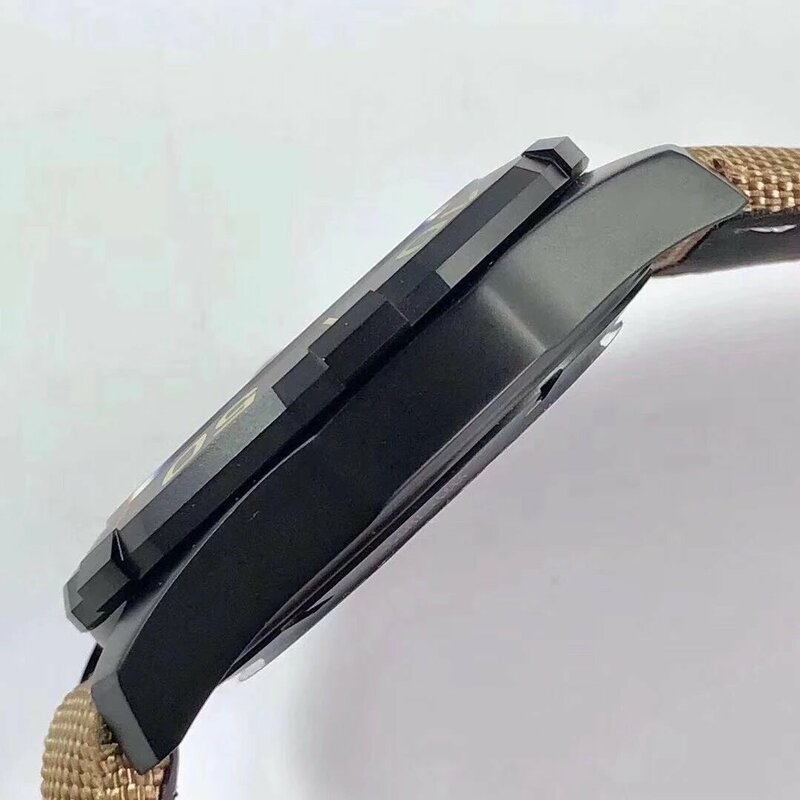 Black dial has stripes, hour markers are trapezoidal, they have yellow edge while there are grey lume material applied on the center. Although second hand is in orange color, it is not so eye-catching, I will like the watch a little more if it has a red-tip second hand. 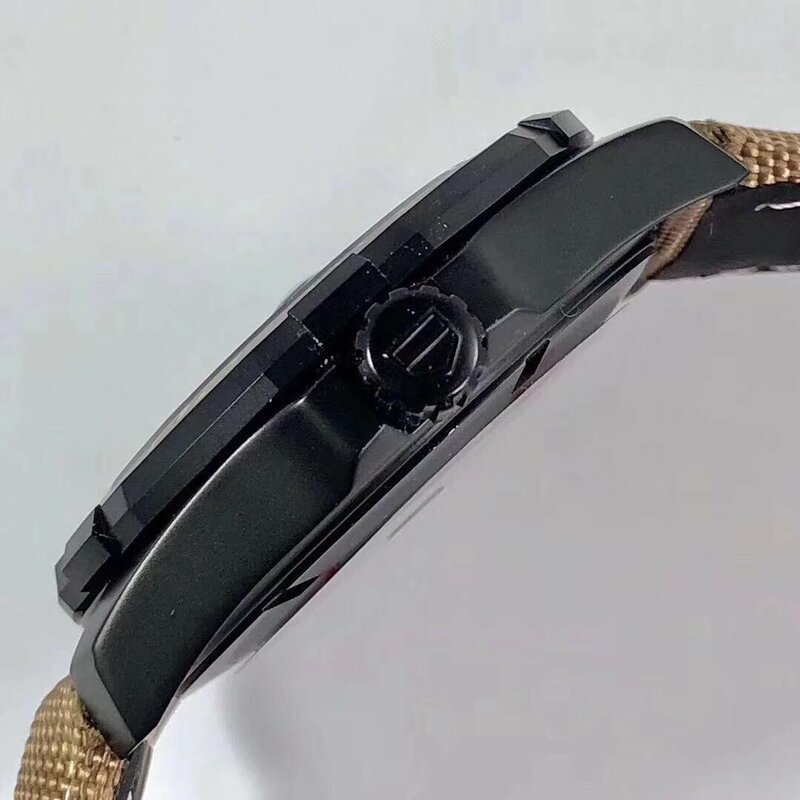 The date window has occupied a lot of space on the dial, especially it has a big magnifier on the sapphire crystal, this looks dull, I like the small date window style without magnifier on the crystal face. The case is made of 316L stainless steel but the surface is DLC processed. You can see it is brushed but has a different effect with the ceramic bezel. Polygonal bezel is full of mechanical sense, there are yellow markings deeply engraved and the triangle mark at 12 o’clock is in orange. Solid case back is screwed down, the central part is sandblast finished, an unique pattern and waterproof information are engraved. 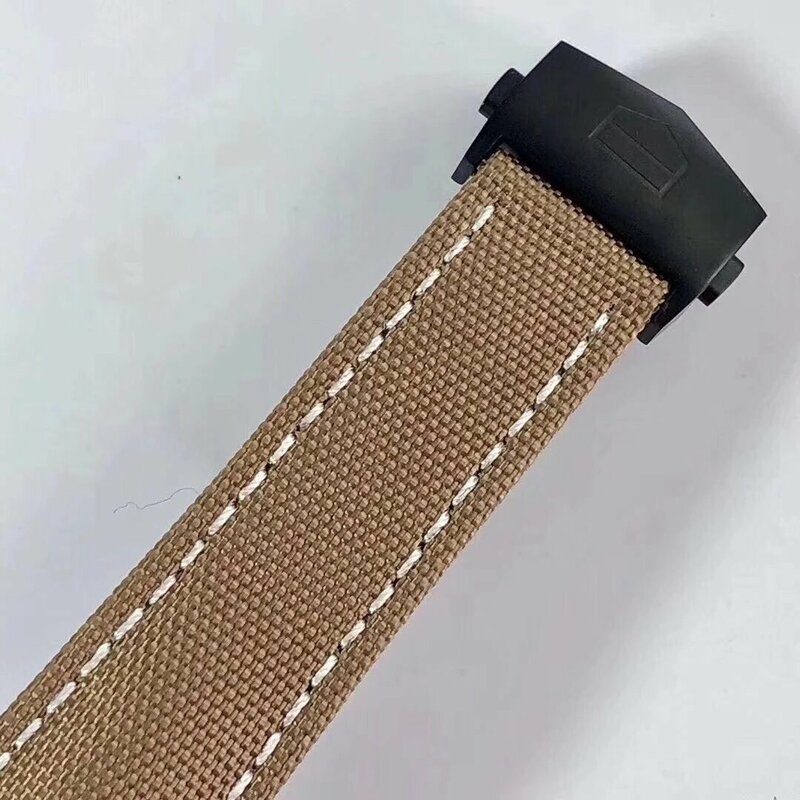 The band is brown nylon outlook, while the inside is made of black leather, this band design not only keeps the diver’s watch feature, but it is also very comfortable to wear.